Just 10 seconds to start the last regatta, the Medal Regatta, where the best boats from the fleet, race for the European Championship Nacra17. They are fighting for the medals but also for a place at the Olimpic Games in Rio 2016. 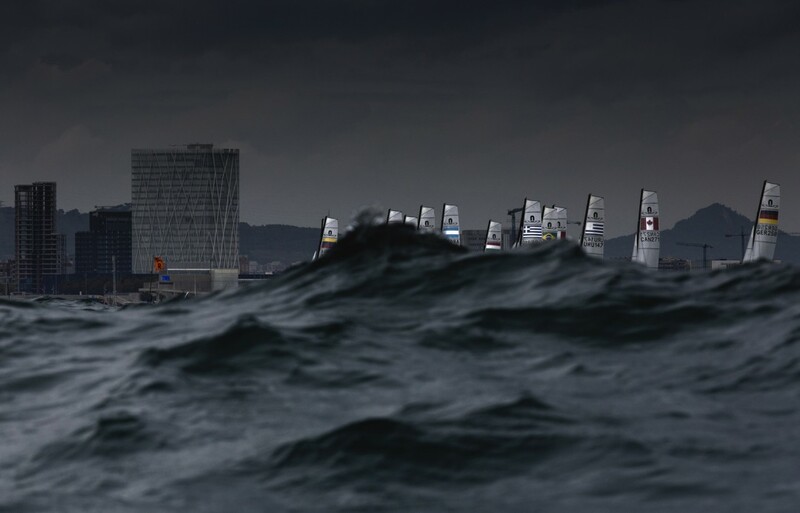 The sun was hidden, the win started to grow up to 14 knots. The waves, bigger as never in Barcelona made the boats disappear. In the bootom, the city under construction, seemed to be part of the race.